Christmas Candle is a photograph by Megen McAuliffe which was uploaded on October 6th, 2010. 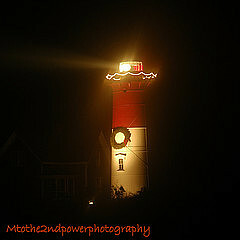 Thank you, it's Nausset Light in Eastham, MA. Fabulous..........what light house is this? I LOVE it.